Each month we feature a new charity to share with our readers in hopes that they might donate to or at least spread the word to others for awareness. For January we decided to profile KidCare International. KidCare International is a non-profit humanitarian aid organization. Their mission is “Equipping and empowering desperately disadvantaged children to lead lives of purpose, service, and leadership.” In efforts to realize this mission, KidCare International provides financial support to orphanages in Sri Lanka, Tanzania, South Africa, Russia and Haiti. They send KidPaks with hygiene supplies and clothes every year to orphans in these countries. When the earthquake hit a year ago in Haiti, KidCare International sent over 70,000 pounds of food, medical emergency teams and hygiene packs to the victims in Port-au-Prince. Locally, KidCare has a food bank available to San Bernadino County residents and an after-school tutoring program for at-risk youth. The tutoring program works with students, kindergarten through eighth grade, in math and English language arts. These children are living at poverty level and receiving failing grades. They are at-risk for failing out of school, drug abuse and gang involvement. KidCare is working to prevent academic failure by getting involved early to improve academic performance and cultivate a passion for learning. College students and local teachers volunteer as tutors and mentors for the children. 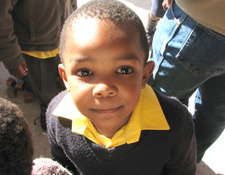 In the 2009-2010 academic year, KidCare’s students’ test scores improved an average of 25% from pre-test to post-test. This year KidCare launched a parent education series that teaches families strategies for helping their children succeed academically. I am proud to have been the director of this program and offer necessary help to students and their families. Who Are Paperkraft Kastles? 2011 Sasquatch! Lineup announced! !